Purim is coming, and I have gathered together the best FREE Purim printables out there! They are guaranteed fun for you and your kids, as part of your celebrations of this fun holiday. From masks and puppets to coloring pages and activities, there is something for everyone! Purim is just around the corner, so here are some of our favorite Purim children’s books. Some tell the story of Queen Esther, while others describe how Purim is celebrated today, and still others are about a particular experience related to the holiday. We have enjoyed reading these, as we were not very familiar with Purim previously. tells of how a Hebrew maiden became the Queen of Persia and risked her own life to save her people from a plot to destroy them. Eric A Kimmel is a well known children’s author whose books have received National Jewish Book Awards. He was also awarded the Sydney Taylor Lifetime Achievement Award. is another popular version of the story of Queen Esther and her bravery in saving her people from the schemes of the wicked official Haman. is about a little bear and her family who are preparing to celebrate Purim together. Goldie has the lead role of Esther in the Purim play, but she is nervous! Then Goldie remembers how brave Esther was and decides she can be brave, too. This is a really sweet book about courage that also shows children many of the important elements of Purim. is a beautiful story of love and learning to trust in yourself. is a Cinderella story set in Poland. Raisel is an orphan who goes to the city as a young woman, where she finds work in the house of a rabbi. The rabbi’s cook is jealous of Raisel and treats her cruelly, but Raisel’s luck changes one day when her kindness to an old beggar women is rewarded with three wishes. These enable Raisel to attend the Purim play, where she meets the rabbi’s son, who has no idea she is the same girl that works in his own home. I love that this story turns on a riddle that Raisel tells the rabbi’s son about wisdom, and that it is her cleverness that steals his heart. is a really cute book for young readers. Includes a note about the history of Purim and how it is celebrated, plus a recipe for hamantaschen. is an adorable story for young children about Purim. When Farmer Max leaves for a Purim play, the bayryard animals decide to put on one of their own. But when a wolf sneaks in and is mistaken for Haman, the shy Duck (in the role of Esther) must be brave and save the day! 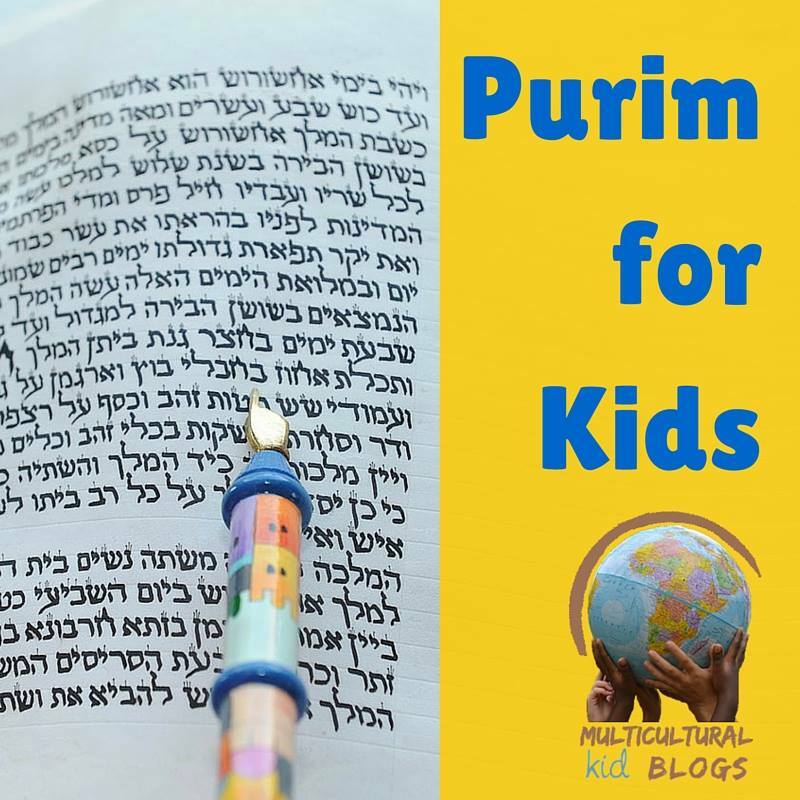 Follow Multicultural Kid Blogs’s board Purim on Pinterest.